The Indiana Court of Appeals has voided the state's lethal-injection protocol. In a ruling on June 1, 2017, the state intermediate appeals court held that the Indiana Department of Corrections (DOC) had failed to comply with state rulemaking procedures when it adopted a never-before-used execution protocol without public notice or comment. In 2014, the DOC announced that it had adopted a new execution protocol "informally as an internal DOC policy." The protocol called for a three-drug lethal-injection combination of the barbiturate methohexital (Brevital), followed by pancuronium bromide, a paralytic, followed by potassium chloride to stop the prisoner's heart. No state has ever carried out an execution using that drug combination. Death-row prisoner Roy Lee Ward challenged the protocol, saying that DOC's use of informal internal procedures to put the protocol in place violated the Indiana Administrative Rules and Procedure Act (ARPA) and his right to due process. A lower court dismissed the lawsuit. On appeal, the DOC argued that it was exempt from the ARPA, but the appeals court flatly rejected that argument. It wrote: "If the legislature intended to exempt the DOC from the purview of ARPA altogether, or even to exempt the DOC’s execution protocols, it could have easily done so, but it has not." The court held, "[a]s a matter of law, DOC must comply with ARPA when changing its execution protocol, and its failure to do so in this case means that the changed protocol is void and without effect." David Frank, who represented Ward in the appeal, praised the ruling, saying "[t]he public has a right to know what unelected bureaucrats at state agencies are doing." The decision does not mean Indiana cannot carry out executions, he said, but "bring[s] what [Indiana is] doing out of the shadows" and makes state officials "accountable to the public." Indiana has not carried out an execution since 2009. The Texas 3rd District Court of Appeals has rejected claims made by state corrections officials that disclosure of the identity of its supplier of the execution drug pentobarbital would expose the company to a "substantial threat of physical harm." Finding these claims to be “mere speculation,” the appeals court ruled on May 25, 2017, that Texas must disclose the identity of the compounding pharmacy that supplied execution drugs to the state in 2014. The ruling upholds a Travis County District Court order in a suit that was filed on behalf of two death-row prisoners under the state's Public Information Act. The prisoners' attempt to litigate a challenge to the state's lethal injection practices failed to halt their executions, but the district court later determined that the identity of the drug supplier was "public information" subject to disclosure under the state public records law. The Texas Department of Criminal Justice (TDCJ) had argued that information concerning the identity of the compounding pharmacy that provided execution drugs fell within a safety exemption in the act, which shields release of otherwise public information where disclosure would create a "substantial threat of physical harm." The court found that TDCJ had shown nothing more than the risk of public criticism, which it said was not enough to block the supplier's identity from disclosure. 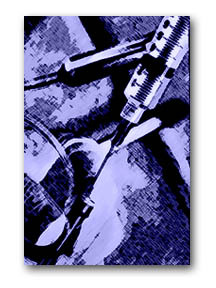 The court recognized that "[t]here are myriad reasons why a private business or professional involved in the [execution] process would not want that fact known publicly—potential adverse marketplace effects, unwanted publicity, critical written or oral communications from members of the public, or protests, to name but a few of the unpleasantries that can accompany one’s association with such a controversial public issue." But under the law, the "sole permissible focus" is the "threat of physical harm from disclosure of the pharmacy’s or pharmacist’s identity—not, in themselves, any threats of harm to privacy or economic interests, threats of media or political 'firestorms,' or even threats of harm to property short of harm to persons." In 2016, a BuzzFeed News review of FBI records found that state claims that execution drug suppliers have been the subject of threats by anti-death penalty activists were largely unsubstantiated and exaggerated. Maurie Levin, one of the defense lawyers who filed the public records lawsuit, praised the court's ruling, saying: "They stuck to the law … and the law affirms that those who are involved in government actions don’t get to be anonymous and might be subject to criticism and protest." And she added, "That’s the nature of the beast. That is how our government works. I think the affirmation of those principles is really important." The decision is limited to the source of the state's execution drugs in 2014, because the state passed a broader secrecy law after the suit was filed. TDCJ has said it will appeal the ruling to the Texas Supreme Court. Texas is also suing the federal Food and Drug Administration over its seizure of execution drugs the FDA has said Texas attempted to illegally import from India. The FDA seized the drugs in October 2015, and issued a final order in April 2017 refusing to release the drugs. The U.S. Food and Drug Administration (FDA) has issued a final order refusing to release illegally imported medicines that the states of Texas and Arizona had intended to use in executions. On April 20, 2017, the FDA notified prison officials that it would not release the two states' shipments of 1,000 vials each of sodium thiopental that the FDA had seized at U.S. airports in October 2015 when the states had attempted to import the drug from a supplier in India. Both shipments were halted at the airport by FDA officials, who said the importation of the drugs violated federal regulations. A third shipment of 1,000 vials of the drug ordered by Nebraska was halted by FedEx before it left India because the shipping company was not provided paperwork indicating FDA approval to import the drugs. Sodium thiopental, an anesthetic widely used in executions prior to 2010, is no longer produced by any U.S. pharmaceutical manufacturers, and the FDA has said that it has no legal uses in the U.S. In January 2017, the Texas Department of Criminal Justice sued the FDA, demanding a final decision on the detained imports. In a statement, the FDA announced it had "made a final decision, refusing admission of the detained drugs into the United States." FDA press officer Lyndsay Meyer said that the shipments of sodium thiopental had been confiscated because the detained drugs appeared to be unapproved new drugs and misbranded drugs. The shipments, the agency said, must be either exported or destroyed within 90 days. Texas insisted that the import was covered by a "law enforcement exemption," because the drug was intended for use in executions. The FDA said its decision was made in compliance with a 2012 court order: "The court order requires the FDA to refuse admission to the US any shipment of foreign manufactured sodium thiopental being offered for importation that appears to be an unapproved new drug or a misbranded drug." Since 2012, Texas has used another anesthetic, pentobarbital, in all executions. Arizona has used several different lethal-injection protocols since sodium thiopental became unavailable. In legal challenges filed separately by Arkansas death-row prisoners and a company involved in the distribution of pharmaceuticals, the Arkansas state and federal courts issued preliminary injunctions putting on hold the state's plan to carry out an unprecedented eight executions in the span of eleven days. 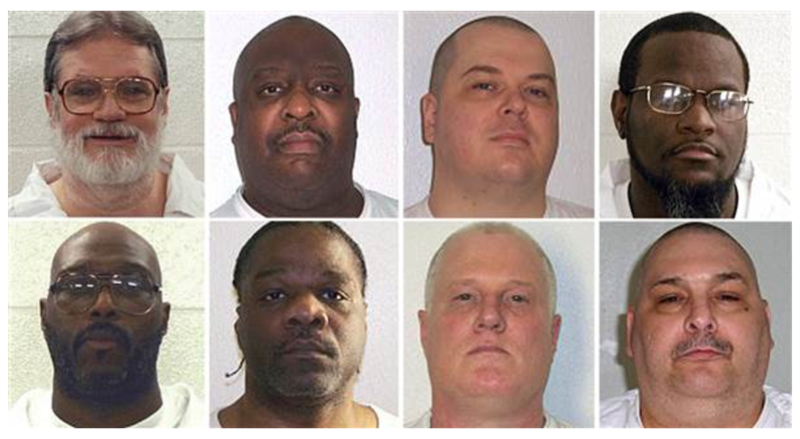 After a four-day evidentiary hearing that ended late in the evening on Thursday, April 13, the United States District Court for the Eastern District of Arkansas issued a preliminary injunction barring Arkansas from carrying out the eight scheduled executions with a three-drug cocktail of midazolam, vecuronium bromide, and potassium chloride. 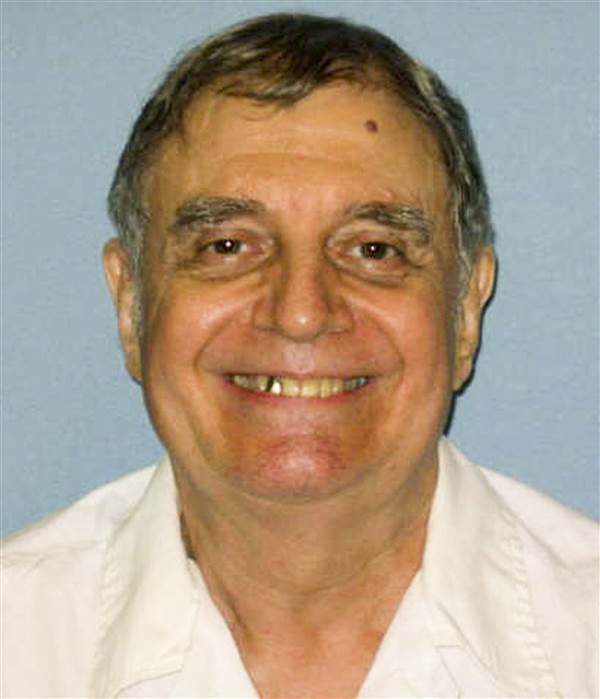 The District Court issued its opinion and order early Saturday, April 15, finding "a significant possibility” that the prisoners' challenge to the lethal injection protocol will succeed and that Arkansas' execution plan denies the prisoners meaningful access to counsel and to the courts during the course of the executions themselves. In granting the preliminary injunction, Judge Kristine G. Baker wrote, "The threat of irreparable harm to the plaintiffs is significant: If midazolam does not adequately anesthetize plaintiffs, or if their executions are ‘botched,’ they will suffer severe pain before they die." The ruling came a week after the U.S. Court of Appeals for the Sixth Circuit upheld a preliminary injunction granted by an Ohio federal district court barring that state from using midazolam in a three-drug execution process. Arkansas has appealed the decision to the U.S. Court of Appeals for the Eighth Circuit. In another lawsuit filed in state court by McKesson, the company that distributed vecuronium bromide to the Arkansas Department of Corrections, an Arkansas circuit judge issued an order in the late afternoon on Friday, April 14, temporarily blocking the state from using the drug. McKesson had filed a complaint alleging that Arkansas misled them about the intended use of the drug and refused to return it even after being issued a refund. Arkansas appealed the court's order, but after the federal injunction was issued, McKesson asked the Arkansas Supreme Court to vacate the state-court order because it would not be necessary as long as the federal injunction is in place.